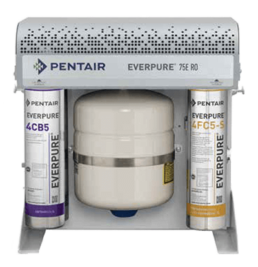 The Everpure RO-75S is a high efficiency reverse osmosis system ideal for combi ovens, steamers and proofers. 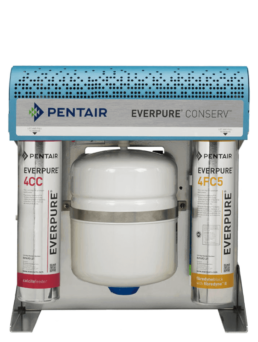 The Everpure RO-75E is a high efficiency reverse osmosis system ideal for coffee, espresso and ice machines. Both are compact water conserving systems with blending valves to allow the right balance of blended water for the application. 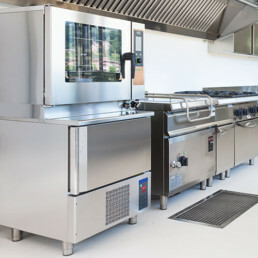 High quality water for combi ovens, steamers and proofers that deliver the right balance of minerals for optimal scale and corrosion inhibition. Blending valve to provide the right balance of blended water for steam applications. Compact design permits wall mount, countertop or under counter installation. Features an on-board storage tank. 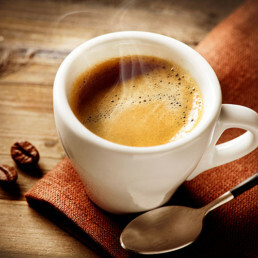 High quality water for coffee, espresso and ice machines. The blending valve, adjusts the balance of minerals for optimal ingredient water for espresso machines. Provides protection against off-taste & odour while removing particulates and dissolved solids. Compact design permits wall mount, counter-top or under counter installation.